The boys from the far west end of the state have come full circle. Teams from El Paso used to get forgotten about, but my oh my have things changed. El Paso girls and boys have made quite the impression over the last couple of years, but they've done what it took and have led headlines all season long. That includes Eastwood and their state championship. This squad has tasted a little more success year after year and this season they hit the BIG lick! Not only have they achieved their long time program goal, but they also accomplished even more. Their NXR South win over the weekend meant that they are going national with things. The squad is used to running national level meets as they frequently cross borders to race in the Nike Desert Twilight Festival in Arizona. However, this season, they also traveled to California to compete at Woodbridge Cross Country Classic. Eastwood won the Desert Twilight and was sixth at Woodbridge. 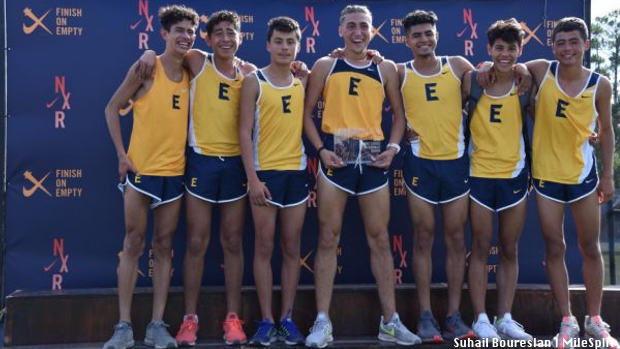 After taking the 5A state meet two weeks ago, they won the Nike Cross Regionals scored 121 total points to show they're the best team in Texas. In what may be their most impressive performance of the year, it looks like Eastwood is getting better with time. They took on the best teams and competition throughout five southern states to take the win. 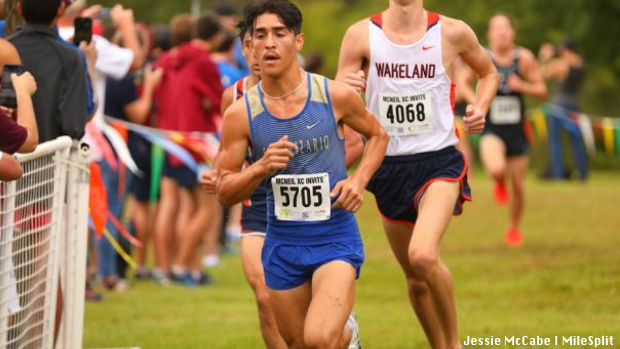 They were led by sophomore Sergio Leon Cuartas who was their top finisher followed by junior Juan Olmos. It was no time that the rest of the crew of Kayn Quinones, Elias Perez, and Nathan Hernandez all crossed the line. It was literally in no time. Eastwood's weapon has been their ability to run fast and tight. They have been capable all year long to place their entire top 5 scorers ahead of most team's #2 - #5 runners. They executed almost to perfection as all five scorers came in within 12 seconds. Well, maybe not. 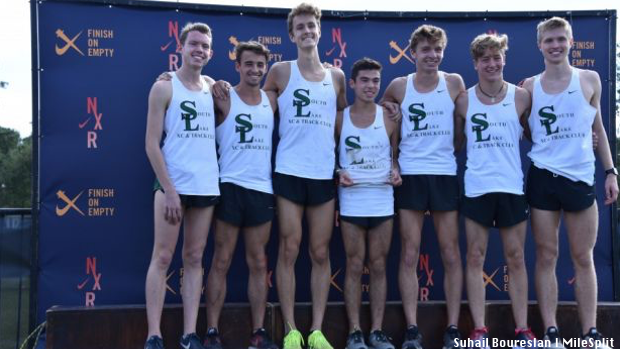 Southlake Carroll (SLC) qualified for NXN once again. This is a team that was supposed to be dead in the water this season as they were to face a transition year. Well, that message was passed around the state, but it didn't make it to Southlake, Texas. The Carroll boys came out hitting in week one of the sesason and kept punching up until this weekend. Those hitters landed them a Region 1-6A title and with in just points of a state title. SLC always manages to make the best of the two weeks between state and NXR South and the did so once again in perhaps one of the toughest years to qualify out of the South region. The Dragons were led all year long by #1 Nate Lannen who finished 10th individually and senior Jack Myers' 26th place finish. Like Eastwood, SLC is known for their ability to fun fast and tight. They have consistently split in the mid 30s this season. While they weren't near that range, they were still under one minute within each other for their top five. SLC qualified for their 12th NXN of 15 contested and their ninth straight. Are you outside the top runners on your team? Well, Jarrett Kirk could be a model for all to follow. Kirk went from JV as a freshman to state champ the next year. This year has been as inconsistent and up and down for Kirk as it has for every individual and team in the state. Nothing has been status quo in 2018, but Kirk has weathered the season as the rest of the best have done and he came out on top this weekend to win the NXR South title. Kirk clearly has worked hard to attain the physical level needed to be elite, but it is clear he has the psyche of a champion to stick in there and battle back. Not only did he battle back from seventh at state, but he battle back to top everybody who beat him in the last three years and those who thought about it. He qualified for NXN last year with his team, but he did so individually this year on his own merit. When it comes to NXN, Kirk can win it all! Speaking of bouncing back, Vandegrift junior Anthony Monte did just that. At state, Monte was battling sickness that left him physically weak and under the weather. Saturday, he was able to show he was back to full strength getting back to his usual place in a race -- the front pack. Last season, Monte was a decent runner. He dipped under 16:00 two times and finished 95th overall at state. He didn't even attempt to run at NXR South, perhaps, there wasn't a realistic shot at him making it. A not so good state could deter the Austin, Texas star from going for it this year. He gambled and won and will get his shot to let the nation know who he is. Fort Worth Christian senior Carter Cheeseman has waiting on championship season all year long. It is finally here and things are going according to plan. He won another TAPPS 5A state championship and now took care of business on the first leg of the post season. Cheeseman successfully navigated himself through the first of hopefully four national races. His fourth place at NXR South ensured he qualified for NXN for the second straight season. 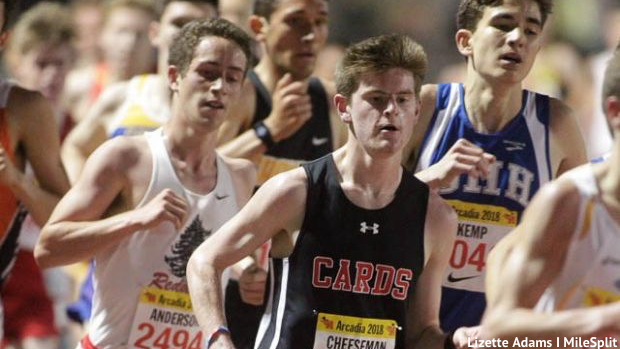 This upcoming weekend, he will give it another shot at the Foot Locker South Regionals that could set him up for another year of two national championship races. The San Elizario sophomore is the next young Texas star to hit the national scene hard. Gomez has been effective and successful since he first stepped foot on the San Ellie campus. He won the 4A state meet as a freshman and doubled back on the track in the 1600m and the 3200m. 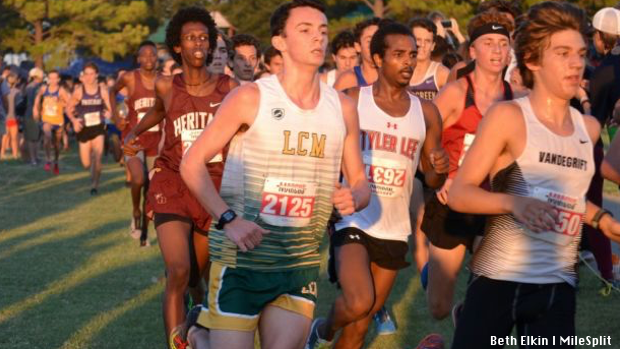 This year, he had a big time race at the McNeil Invitational when he ran 15:14.85 against the best in the state. It seemed he still got buried in people's minds behind the top 5A and 6A runners. After a tough state meet race where he finished second showing he can run in a race other than going solo. 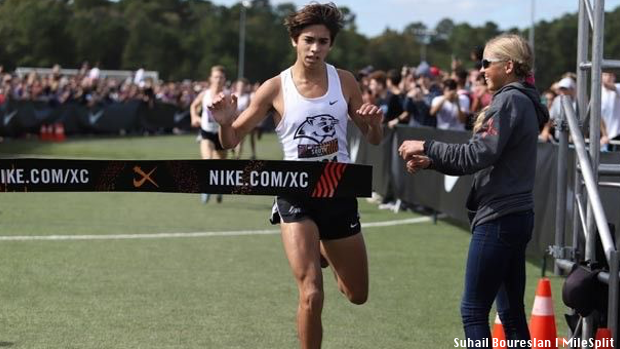 Gomez dropped a gem of a race at NXR South to finish 5th overall and guaranteeing himself an automatic spot. It wasn't without drama though. In the last 800-1000m, the race was coming down to the nitty gritty when he tried to navigate a mud spot and incline on the course. Gomez fell and was on all fours as the leaders were trying to separate and there were seven runners in the front. Gomez eventually fell from fifth place to seventh place forcing him to put on a ferocious kick to charge back up to the fifth spot and last qualifying spot. Gomez is another El Paso star that has helped carry the area to the top of the state. He will join his El Paso fellow runners from Eastwood to be the first from the area since Eastwood's Daniel Bernal back in 2016.